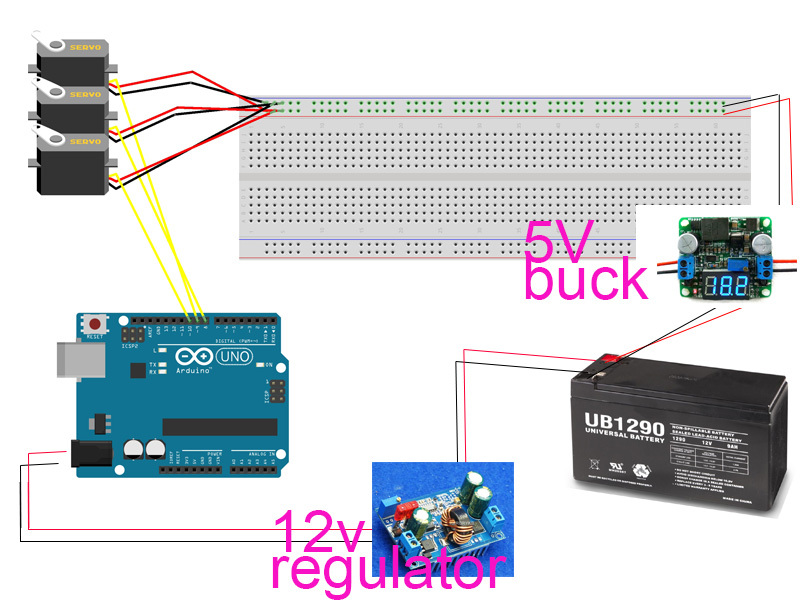 I am trying to control 8 servo's with an arduino uno using ROS. The diagram below shows my current configuration to power the servos. I have a buck regulator in between the 12v battery and the breadboard. The arduino is powered thru a barrel plug which goes into a 12v regulator which connects to the 12v battery. This does not seem to work when I have many servos. Strange things happen when I try to manipulate all 8 servos at once, a few respond but most do not. Also they all seem to get jitters and wobble while plugged in. Why is that? Also what is the best way to power up and use many servos? I planned on using the arduino mega 2560 to manipulate up to 30 servos. Module Properties: Non-isolated step-down module (buck). Wide Input voltage: DC 4.5-40V. Output Voltage: DC 1.2-37V (Adjustable) (output voltage from the USB = output voltage from the output port ). Output current: rated current 2A, 3A MAX (Additional heatsink is required). 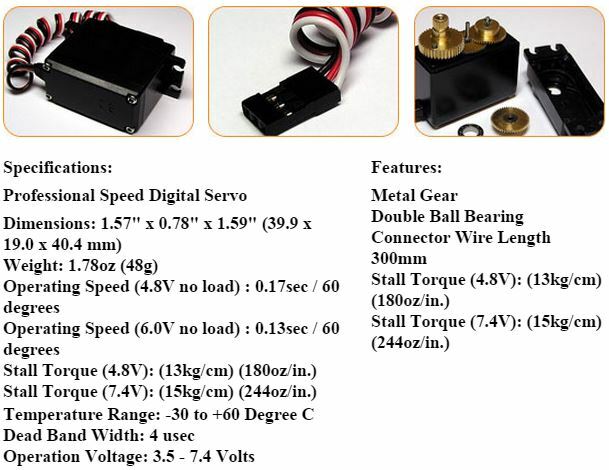 If you need its output power greater than 2A/10W, please add with heat-sink. Short circuit protection: current limiting, since the recovery. unfortunately we can't help you with that. We only offer support for our products.